WARNING: This product can expose you to the chemical lead, which is known to the State of California to cause cancer and reproductive harm. For more information go to www.p65warnings.ca.gov (CA Health and Safety Code Section 25249.6). Barrel: A proprietary blend of Hammer forged chrome molly vanadium made by FN that is referred to as "Machine Gun Steel" by virtue of its required use in FN's M249 and M240 weapons. The hammer forging process work hardens the steel, making it more durable. In addition, the chrome process for the bore allows for a lining almost twice as thick as a standard M16 for enhanced durability. Chambered in 7.62 NATO, with a 1/12 twist, M4 barrel extension, and a Rifle-length gas system. This 18" heavy profile barrel is Mil-spec phosphate coated, High Pressure tested and Magnetic Particle inspected. The barrel is finished off with a 15" PSA Lightweight M-Lok free float rail and an A2 flash hider. Upper: Precision machined from forged 7075-T6 aluminum, then Black anodize hardcoated to MIL-8625 Type 3 class 2. Bolt Carrier Group: 9310 steel bolt assembly, nitride treated for durability. 8620 carrier, nitride treated, with a nitride treated gas key properly staked with grade 8 fasteners. Charging handle is also included. Why is the only CHF barrel a 1:12 twist instead of 1:10 like the rest of your barrels? Can you use 308 ammo safely in this upper assembly? Is the barrel stamped FN? BEST ANSWER: No. "MP CHF 7.62 NATO 1/12"
This is a 7.62 NATO and therefore a .308 and NOT a 7.62x39? You're not being specific. the difference between NATO and x39 is on you. lol. It is mid or rifle length? If this Barrel is not stamped Fabrique Nationale is it not then truly a barrel from them? 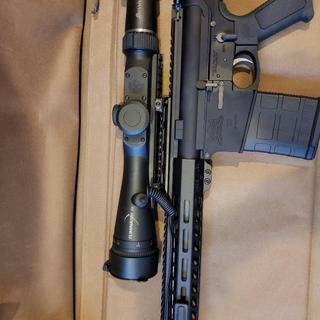 description says M4 cut receiver AND barrel extension but one reviewer claims his extension is plain rifle cut. have you addressed this problem, PSA? Does the BCG have an enhanced firing pin? BEST ANSWER: no, none needed. this is 7.62x51 NATO (308 Win.) and not 7.62x39 russian. NO, from the best I can gather. 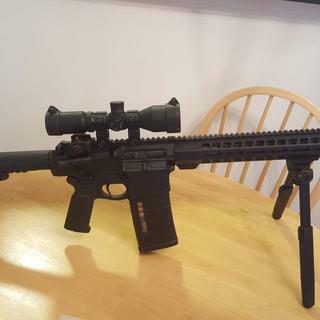 I had a small issue with the bolt, and when they replaced the BCG, I was given a standard PA10 nitrided BCG. This has neither the enhanced firing pin or carpenter steel bolt. I want to make sure it's ok to use 308 win. hunting factory ammo ? I don't want a case to rupture. I would appreciate any help with this. BEST ANSWER: It should be fine to use a quality brand of 308 win. In this. Just make sure you check the case and primer for abnormalities after shooting a few. The danger lies in guys who reload and put a normal 308 win load of powder which is hotter in a 7.62 NATO case. The walls are thicker in a 7.62 NATO case which could cause a rupture due to more pressure. Use proper reload in these. The main concern is with older 7.62 NATO rifles Which have more room in the chamber. The newer 7.62 NATO are closer in tolerance to the 308 win nowadays. Federal makes hunting rounds specifically for ar10 rifles called federal fusion msr. I have recently fired around 500 rounds of Federal ammo with no issues. 200 rounds of Remington had 1failure to eject before that. I initially had a few failure to eject with Winchester WB, but that was when it was brand new and before I realized the rifle likes a little extra oil. Hope this helps. Good question. Pretty sure .308 is hotter. Better do some more research before shooting. I broke in the barrel with Turkish 7.62 Nato ammo. No issues. Good shooter. I believe Sig Sauer makes a .308 in an AR platform. That may be a better hunting rifle. Yes it is more than o.k. to use for 308 win ! I reload and I have my loads at max powder charge a d I dont have any issues with the upper "rupturing " . If you shoot 7.62x51 or 308 win either round you will have no issues with this upper firing . Is the default gas block adjustable? 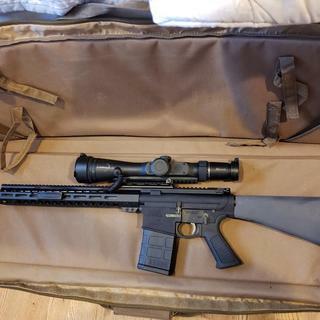 Will this fit a DPMS Oracle lower? Superb fit, finish, function. No problem with the feedramps. Extremely accurate. I did add a Superlative Arms adj gas block. I love it. Nice quality construction and very accurate. Fits perfectly with the Gen 2 lower. Smooth operation and no failures with the 200 rounds I have put through it so far. It’s a solid weapon that weighs a little more than some will want to carry on foot walking for long distances. At 100 yards, it’s accurate enough for my needs. 1-1.5 inch groups once it was sighted in using base Federal ammo. WOW! This rifle shoots! Very impressed. Fired about 100rds. No malfunctions. And I shot this group! I picked up the lower on sale and held out a few months for the CHF upper. Just got this item, took apart to clean and oil, found the feed ramps have an issue. They are cut in a way that a lip is in the middle. Worried this is gonna cause trouble. Read elsewhere that psa fixed this by dremeling it out.... hope this can be corrected with some kind of decent machine work quality. When i did take too the range for break in, i fired off single shots, and it went bang so that good so far. This upper s amazing,I shot a 3/8" group at 100 yds with federal 150'grain blue box with the 8,9,and 10th shots ever fired out of this upper. Surprisingly not heavy. Does not work with ASC magazines. Very picky with mags. Runs very well. Very excellent upper paired with PSA Magpul lower. I put 80 rounds through it today and it is smooth and amazing! This is the upper you have been waiting for! Straight monster! Just a pure tack driver . 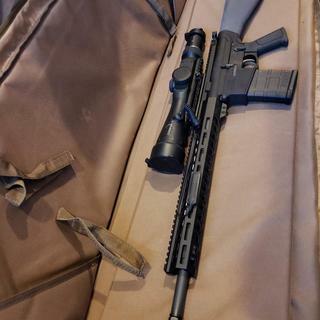 MOA with surplus 7.62x51 ammo and close to half m.o.a. with handloads using 168 gr BTHP pushed by some varget . F&N barrel says it all . Does not work with DPMS style lowers . There is a clearance issue with the top of the buffer tube threaded area of the lower . You could grind it down for the charging handle to clear but why . This is my second P.S.A. upper and I wish I bought this one first . If you are looking at AR10 uppers you dont have to look any further . The quality was what i was hoping for. I talked to some friends who bought from Palmetto State Armory. They said you wont be disappointed. This upper is fantastic it works and works well. No Problems with my 80% lower fits like a glove. will by from them again. This was mated to a PSA AR-10 lower and no problems at all so far. 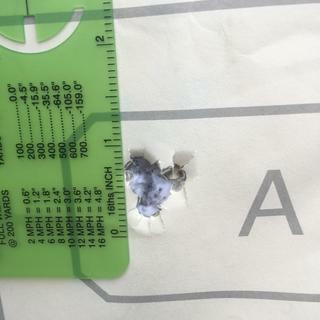 I did modify and add a polymer accuracy wedge between the upper and lower as there was some mild slop, but after that it was pretty accurate and functioned as it should with no FTE, FTF or misfires. I did use a 12x fixed scope and Pmag with mine and it seemed to work very well. I added some offset iron sights, and I'm GTG. This upper is fantastic. Looks great and shoots even better. I managed 1.5 moa with cheap 147g and .5 moa with 168g match grade. Fits great with my new PA-10 lower bought at the same time. Shoots accurately and functions well with 1980's Malaysian surplus 7.62. 170 rounds fired with no issues. Will surely be sub MOA with some IMI OTM or similar match ammo. Fantastic as always PSA Fit and finish is great, 18" Barrel perfect do everything length!! haven't shot it yet, matched it with a PSA lower. 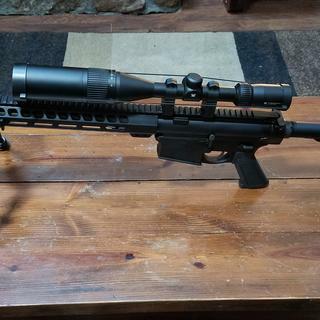 Put a brand new Burris 4-16x50 Eliminator III with pressure remote and put a Lantac muzzle break on this beast! Cant wait to take it to the range next week!! It doesn’t get 5 stars and should maybe get only 3 for the following reason. The feed ramps on the psa upper are cut like m4 fees ramps. But the awesome fn barrel is NOT cut for m4 fees ramps. This creates a small lip that bullet tips might grab into and thus prevent feeding.